So, I had this little Easter Basket and knew it would just need a little makeover to help it along. *Affiliate links are used to show like or similar items used. You can read full disclosure policy HERE. 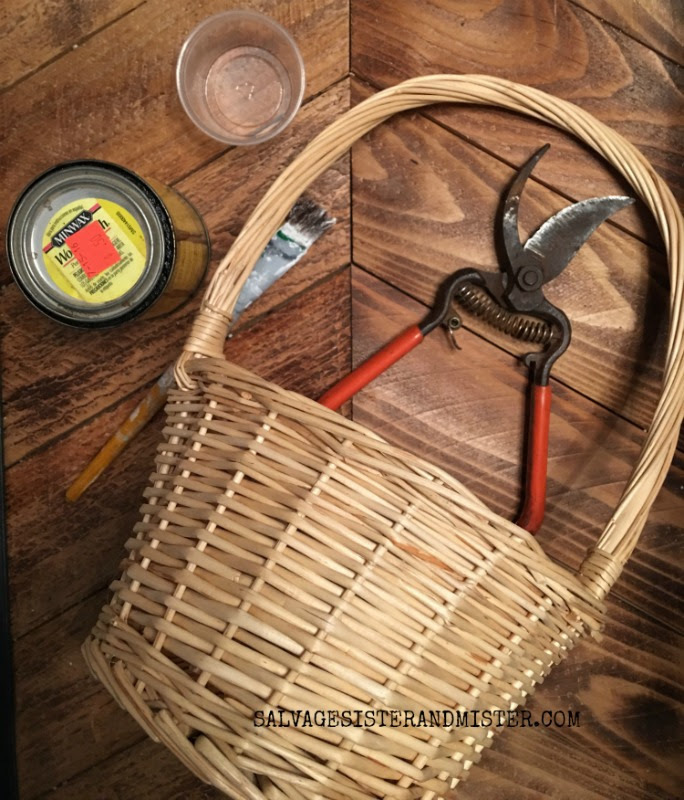 With pruning shears, I removed the handle of the basket. 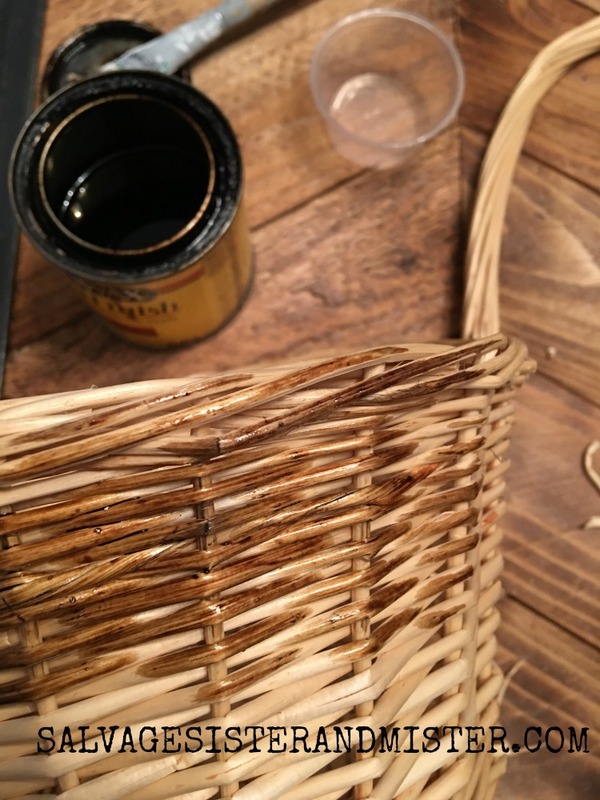 Using a paper towel, or brush, a light application of stain was added to the outside of the basket, let dry. 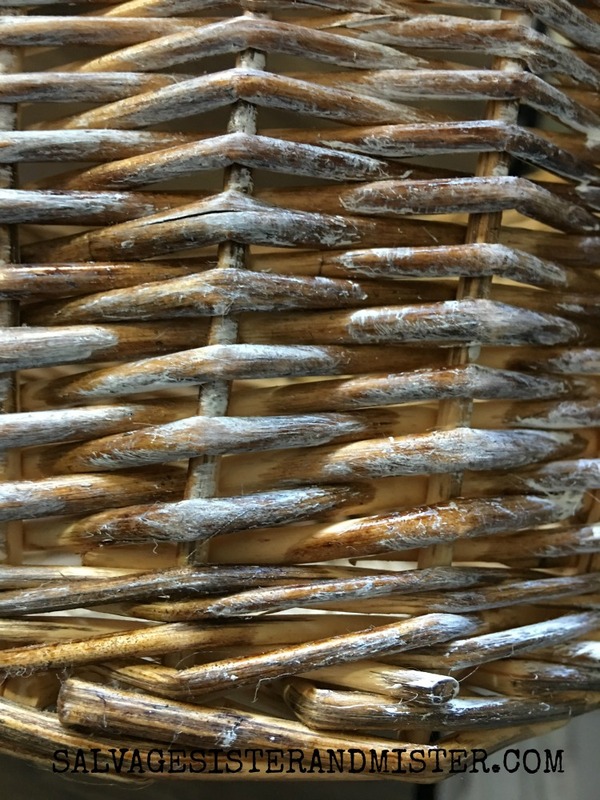 I then lightly applied a slight bit of white paint to the outside of the basket and rubbed with a paper towel, let dry. Finally, I applied a postal tag that I had in my craft supplies, onto the front of the basket, using thin wire. 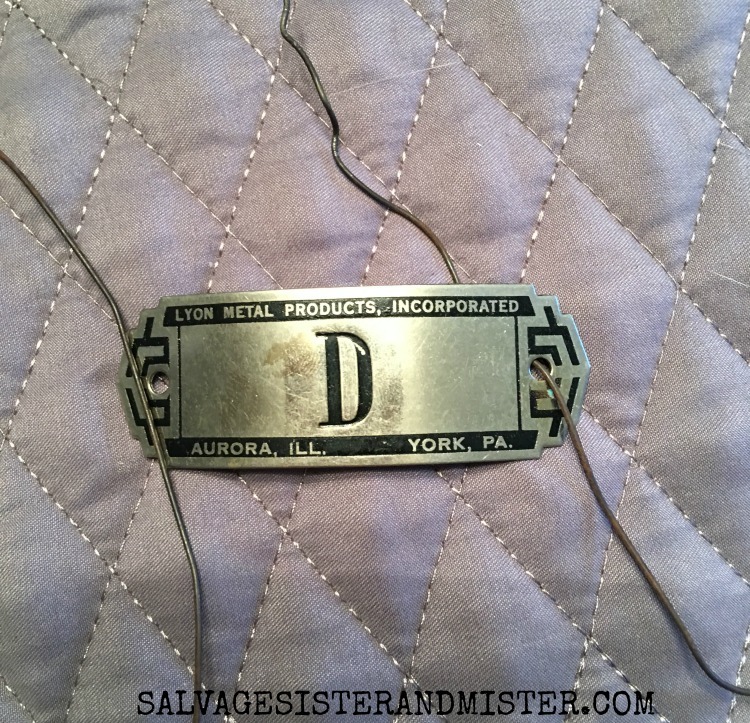 Here is another thrift store project I think you are going to like…. I always love the look of a whitewashed basket. I would be using this one all year round. It looks terrific! That’s a pretty cool upcycle! Now I’m going to be looking at thrift store baskets with a more discerning eye. I like the stain & dry brush, and I like the idea of removing the handles too. What a great idea. I even have one of those baskets hanging around, and some leftover stain. Thanks! Dione, Yeah, these baskets are pretty easy to come by. Thanks for stopping by! This turned out so cute. I was thinking about staining some of my baskets and you’ve inspired me to give it a try. Thanks. Denise, I can’t wait to see what you do! I have a basket just like that from when my kids were little! What a great way to upcycle it! Roseann, They are def an easy basket to come by. Thanks so much for stopping by! What an awesome makeover! I have so many of these baskets in my stash that I would love to update. The postal tag really finishes it off! What a great way to upcycle/transform a basket into something new for Easter! Thanks so much – cheap and cheerful! Super cute idea!! Love how you have attached the metal label to the front of the basket! Thanks so much Sam!! These labels have been great. I have used them in several projects. I will never pass up a light colored basket at the thrift store again. Your method of giving this basket a new look is right up my alley. 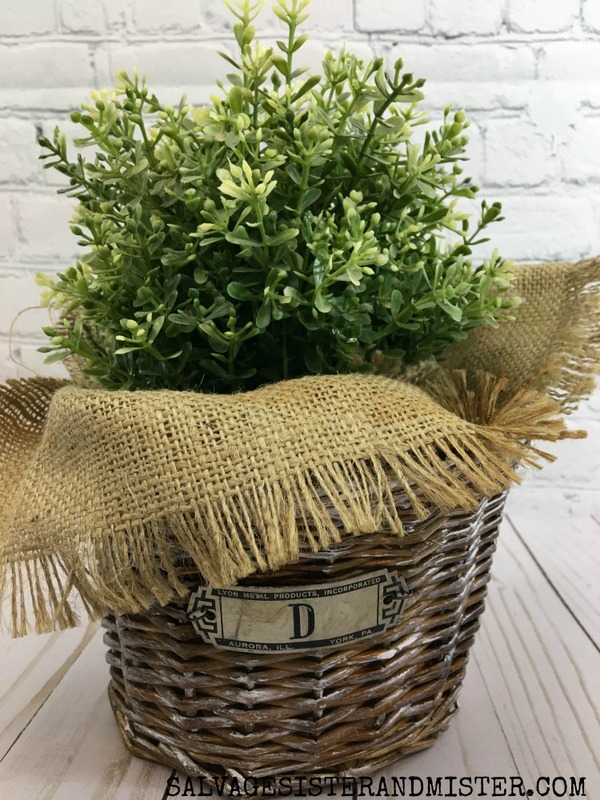 Your basket is beautifully farmhouse styled too. I just replaced the Easter basket I was using to hold my tulle with a paper basket I made! Now I know how I’ll re-purpose the Easter basket! 😀 Pinned! 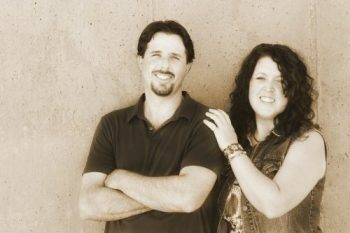 Kristie, I would love to see what you do. Definitely love the look! I have an old basket from my godmother and it looks exactly the same. 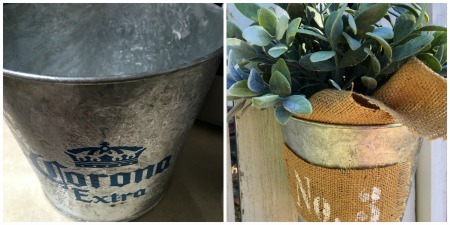 You did such a good job on this DIY and I love the idea of being able to make new “old” baskets from now on. What a great upcycle! Removing the handles really went a long way to transforming the basket! Pinned! Such a pretty upcycle and the added tag is perfect! Super great idea – I have a lot of those basic baskets around, always thinking “someday I’ll do something” with them. Taking the handles off and changing the color so easily never occurred to me. Susan, It’s so great that we all can learn from each other. Thanks so much for stopping by. I hope you get a chance to make one. I love this and think I might even have a similar basket to makeover. Pinned! Emily, I bet you do. I would love to see what you do. Such a cute basket. I love the addition of the burlap. You just gave me a few ideas! Thanks for sharing! Thank you Angela! Glad I inspired you. A lovely upcycle idea! Thank you for inspiration. You’re welcome Simona. I love inspiring others. This a great idea, I have lots of baskets and this would be so cute for my side table.